These achievements challenge the player to defeat 12 out 15 Master Tamers on the Broken Isles with teams comprised of pets from the same family type. Master Tamers will occasionally pop up through the World Quest system for level 110 players. 3 random Pet Battle quests pop up daily, but it's entirely possible that a Master Tamer will not appear at all on any given day. Progress on these achievements are tracked account-wide, so players can use alts to battle a specific Master Tamer using different pet-family teams to advance through the achievement faster. Call nightmares onto the enemy, dealing 492 Magic damage and causing the target to receive 50% less healing for 2 rounds. Plants a seed in the target, instantly dealing 197 Elemental damage and restoring 197 health to the user. The seed lasts for 1 round. 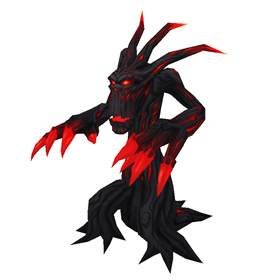 Each round, the seed deals 98 Elemental damage and restores that damage as health to the user. When you click on a WQ Battle Master, the app will launch itself showing you the trainer completion, this alongside Xu-Fu pet guide, makes this easy! dont give up! ugh...this IS a nightmare to get! I found a great sight to help with this achievement Xu-Fu's Pet Battle Strategies. WWW.wow-petguide.com Here is a way to do the achievement faster. Use a 2nd 110 that has not opened world quest and go to the trainers location. You can do the battle repeatly if you don't have world quests open. That will allow you to do all the familys on that trainer in one setting. This however, does not work for the trainers in Suramar City. Didn't play nice with the other plants in the nursery.